The University of California San Diego again received a record number of applications, with 99,115 freshmen and 19,257 transfer students applying for fall 2019 admission. Applications to the campus, one of the world’s top research universities, have been steadily climbing for more than a decade. 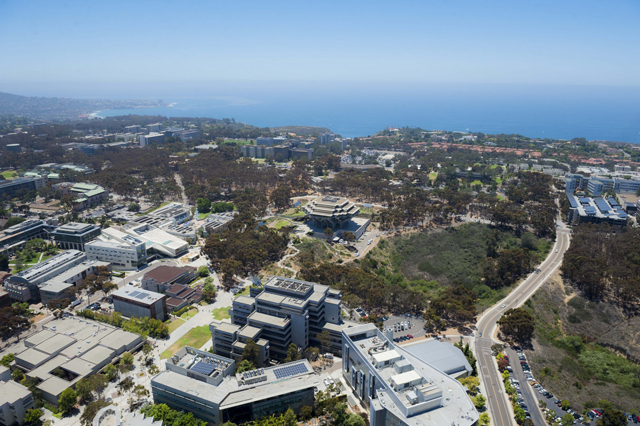 UC San Diego was the second most sought-after campus among applicants to the University of California system. The campus continues to see growth among southern California applicants, with a five percent increase in San Diegan high school seniors applying, compared to last year. Overall, more students across the state are seeking admission to the school. More than 65 percent of freshman applicants and nearly 80 percent of transfer applicants are Californians. UC San Diego continues to attract, admit and enroll a diverse student body. The number of new freshmen from under-represented groups has more than doubled on campus since 2012. Nearly four out of 10 new students at UC San Diego are the first in their family to attend a four-year university. In continuation with this trend, the campus’s applicant pool increased in diversity, compared to last year. At the freshman level, African-American applicants grew by more than five percent and the number for Chicano/Latino students rose slightly by 2.3 percent. Among transfers, African-American applicants grew by seven percent and Chicano/Latino students applying increased by nearly two percent. Overall, among freshmen and transfers, 2.5 percent more underrepresented students sought admission to UC San Diego, compared to last year. The campus saw a sharp increase in arts and humanities majors for both freshmen and transfers, compared to fall 2018. Among high school seniors, nearly 10 percent more of arts majors and eight percent more of humanities majors applied to the campus. For transfers, ten percent more prospective art students applied, while nearly five percent of additional humanities majors submitted applications. The most popular fields of study for applicants continued to be in the social sciences (28.2 percent of freshmen and 47.2 percent of transfers), followed by engineering (23.7 percent of freshmen and 21 percent of transfers). UC San Diego researchers work across disciplines to solve some of humanity’s most pressing problems. Researchers from the Jacobs School of Engineering and the School of Medicine recently developed 3-D printed implants that could one day help restore neural connections and lost motor function in patients with spinal cord injury. The implants are soft bridges that guide new nerve cells to grow across the site at which the spinal cord has been severed. In addition to cutting-edge research, the campus’s ongoing physical transformation continues to garner attention. Among many projects, the North Torrey Pines Living and Learning Neighborhood is taking shape as a vibrant, mixed-use community that will provide 2,000 undergraduate beds, enhancing students’ experience and providing them with a truly dynamic environment in which they can thrive. This year, the University of California received 217,650 applications for fall 2019 admission. This includes 176,530 applications for freshman admission and 41,120 transfer applications. The review of applications is underway with offers of admission going out by the end of March for freshmen and the end of April for transfer applicants. For more information about applying to UC San Diego, click here.